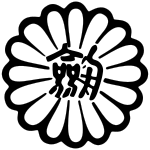 The Zen Nippon Iaidō Renmei (ZNIR), or All Japan Iaido Federation, is a federation strictly managed by its own constitution as well as Japanese governmental regulations. It is founded in 1948 by the late Ikeda Hayato, later Prime Minister of Japan to act as an umbrella organization to unify and promote the many traditional iaido styles in Japan. It holds yearly National Kyoto Iaidō Tournaments in Kyoto, Japan, typically on May 3 to May 5, and also many regional Taikai held throughout the year. The ZNIR was registered with the Japanese government in 1954 and its Dan certificates are widely recognized within the martial arts community. Musō Jikiden Eishin Ryu Seitokai, or MJER Seitokai is one of many organizations partially under the umbrella of the ZNIR who have agreed to support and form the ZNIR. The literal translation for Seitokai means “Orthodox Association”. In the past, most ZNIR presidents have also been the Sōke of the MJER Seitokai but not all. For example, the second ZNIR President was Prince Kan’in Haruhito of Japan (Toyama Ryu and Eishin Ryu), the third ZNIR President was Ogata Sensei (Kanshin Ryu and Shinden Ryu) and the fourth ZNIR President was Koishi Sensei (Sōke of Hōki Ryu). 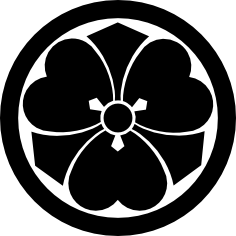 Seitokai is an organization that was created to protect and preserve the orthodox transmission, lineage, and legitimacy of Muso Jikiden Eishin Ryu. The Canadian Iaido Association follows the Sōke of Seitokai’s tutelage of Muso Jikiden Eishin Ryu. ZNIR is an organization created by multiple traditional Japanese Styles that have Iaido, in an effort to unify, improve, and add credibility to Iaido practitioners in Japan, as well as to transmit to future generations the time-honoured traditional schools of Iaido. It is tightly managed by their regulations, meant for protecting the legacy of all the styles within the federation. With respect to active practicing members, the ZNIR can be considered to be the largest Iaido Organization in Japan followed by the Zen Nippon Kendo Renmei’s Iaido Department. The ZNIR is a Renmei (連盟) which means Federation in Japanese, and cannot by law include another federation – although it contains smaller regional federations known as Chikurenmei (地区連盟), which literally translates to “Regional Federation”. The ZNIR also contains other organizations not within their governance such as Kyōkai (協会), translated as “association”, or Kai (会), translated as “organization” or “group”. Each of these kyokai (or kai) can have their own leaders, styles and systems. Seitokai is a kai, or organization, that offers their own Dan certificates that are only officially recognized within the Seitokai organization and not the ZNIR; Seitokai is technically not within the governing structure of the ZNIR. Individuals can hold membership in ZNIR as well as ZNIR-related groups like Seitokai. Information by Tanida Hiroshi Sensei and Itoh Takeji Sensei; translated by Itoh Takeji Sensei, Denton Hewgill Sensei, and Chris Tooley Sensei.